Enter the mind of Holly Kane and the dangerously dark world of power and manipulation, in the gripping psychological thriller THE HOLLY KANE EXPERIMENT, which is set for its UK digital debut on 12th February 2018, following its London premiere on 6th February 2018 and a limited theatrical release. 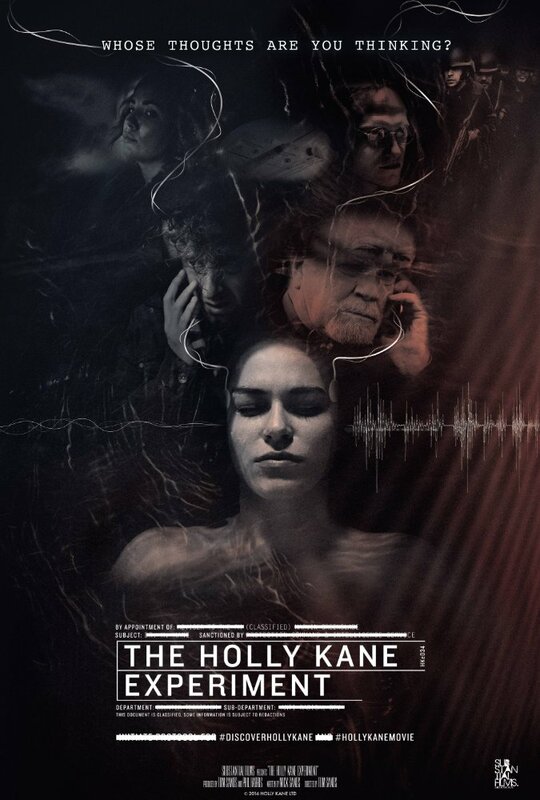 Penned by father-son duo, writer-director team Mick Sands (Three Acts) and Tom Sands (Backtrack) and starring Kirsty Averton (Our Girl) and Nicky Henson (Vera Drake), comes a thrilling intelligent drama that explores the murky depths of mind control and delves into one woman’s battle for sanity in the face of extreme psychological pressure. Driven by fear of insanity, experimental psychologist Holly Kane (Averton), is researching mind control techniques in a quest to control her unconscious thoughts. While experimenting with drug-fuelled subliminal programming two very different men enter her life. Holly is swept off her feet by Dennis Macintyre (James Rose), a handsome 35-year-old who seems to be impulsive and vulnerable, but what is he hiding? Then there’s the mysterious Marvin Greenslade (Henson), a celebrated 73-year-old psychologist who seems to have the power and influence to give her career a much-needed boost, with the promise of facilitating the clinical trials that will legitimise Holly’s experiments. But can Marvin be trusted? Descending into paranoia and madness, can Holly discover the truth about what is happening to her before it’s too late? Experiment with this mind bending, conspiracy-fuelled thriller.